The project is archived in full at www.residencyinmotherhood.com. On Mother's Day, 2016 the project was passed along to new residents. Visit www.artistresidencyinmotherhood.com for details. 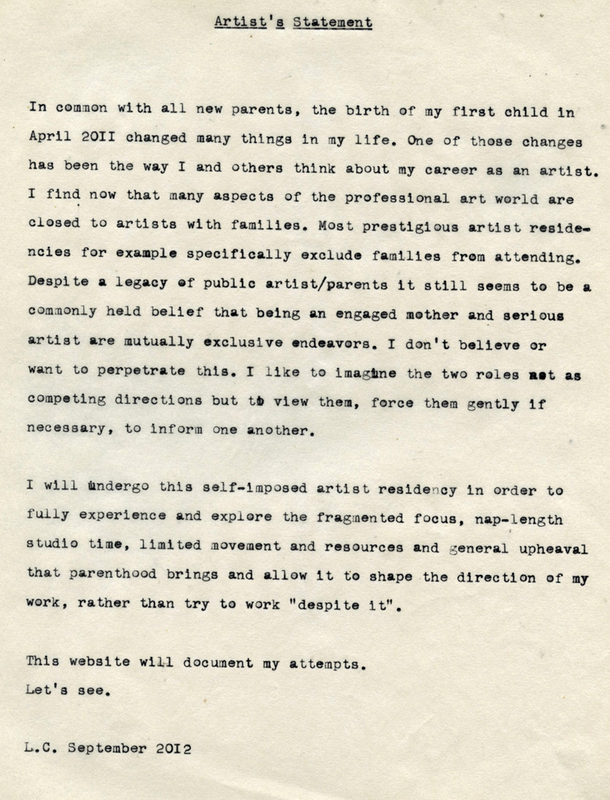 An Artist Residency in Motherhood (2012 - 2015) was funded by a grant from The Pittsburgh Foundation/Heinz Endowments and a Sustainable Art Foundation Award. It was supported in kind by Pittsburgh Filmmakers and Pittsburgh Center for Creative Reuse.